"It sounds like a stereo with the speakers blown out.". Re-Scene Los Angeles: Rough Church is Fringe Americana! What’s the ideal body? Who says the media gets to tell us? A constellation of sociocultural factors that are making us sick. We all know that gender roles in media affect people mentally, and consequently physically. During childhood and adolescence these media exposure events become part of a constellation of sociocultural factors that promote a thinness schema for girls and the muscularity schema for boys amongst other ideals. It is long known that the media (television, movies, magazines, etc.) have, since World War II, increasingly held up a thinner and thinner body image, (and now ever more physically fit image) as the ideal body configuration for women. The ideal man is also presented as trim, but muscular. the association of attractiveness and thinness was present in over 100 female characters appearing in 23 Walt Disney animated films (cel cartoons) produced over a 60-year period. Thin female characters in television situation comedies were more likely than heavier female characters to be praised by male characters, and less likely to be insulted by male characters. Most working class adolescent girls are dissatisfied with their weight and shape. A study done by ‘Field, et., al in 1999, found that 70% the girls stated that pictures in magazines influenced their conception of the “perfect” body shape, and over 45% indicated that those images motivated them to lose weight. Further, adolescent girls who were more frequent readers of women’s magazines were more likely to report being influenced to think about the perfect body, to be dissatisfied with their own body, to want to lose weight, and to diet. Teen-age girls who viewed commercials depicting women who modeled the unrealistically thin (yet ideal by media standards), type of beauty, caused adolescent girls to feel less confident, more angry, and more dissatisfied with their weight and appearance. I wonder what the percentage is of girls that go on to form medical and psychological maladies like shyness, depression and others? In a study on fifth graders, 10 year old girls and boys told researchers they were dissatisfied with their own bodies after watching a music video by Britney Spears or a clip from the TV show which showcased people thin “media ideal but uncommon in real life’ bodies. Teens who watched soaps and TV shows that emphasized the ideal body typed reported higher sense of body dissatisfaction. This was also true for girls who watched music videos. Reading magazines for teen girls or women also correlated with body dissatisfaction for girls. In a 1997 study designed to study how children described the roles of cartoon characters, children (ages four to nine) “perceived most cartoon characters in stereotypical ways: boys were violent and active and girls were domestic, interested in boys, and concerned with appearances” (Thompson, 1997). 50% of the commercials aimed at girls spoke about physical attractiveness, while none of the commercials aimed at boys referenced appearance. What are we teaching our young girls and boys? Young males interacting with the toys or items being advertised, acted aggressively in 50% of the commercials aimed at them, while none of the girls behaved aggressively. Even voice-over for young male’s toys was overly presented with speed and aggression. With regard to work roles depicted on television in a study doen by Sobiera in 1995, no boys had unpaid labor roles, while girls were mainly shown in traditional female jobs or roles of unpaid labor. Dr. Nancy Signorielli, Professor of Communications at the University of Delaware examined the types of media most often viewed by adolescent girls: television, commercials, films, music videos, magazines and advertisements. While the study did find positive role models of women and girls using their intelligence and acting independently, the media presented an overwhelming message that girls and women should be more concerned with romance and dating (as it follows how they look and looks supposedly determine how successful they will be at their roles), while men focus on their strength, aggressiveness and occupations. I would like to extrapolate out the conversation and ask you to consider the lasting effects of this ‘body image / gender moulding pre-occupation”. Can the high incidence in male and female dissatisfaction and deprssion be linked to these practices in our media or in a larger context, in our society? Can we further say that physical maladies such as bulemia, anorexia and a host of anxiety disorders are a result of such seemingly unbalanced ideologies? I have to venture a ‘yes.’ Don’t forget about the boys. 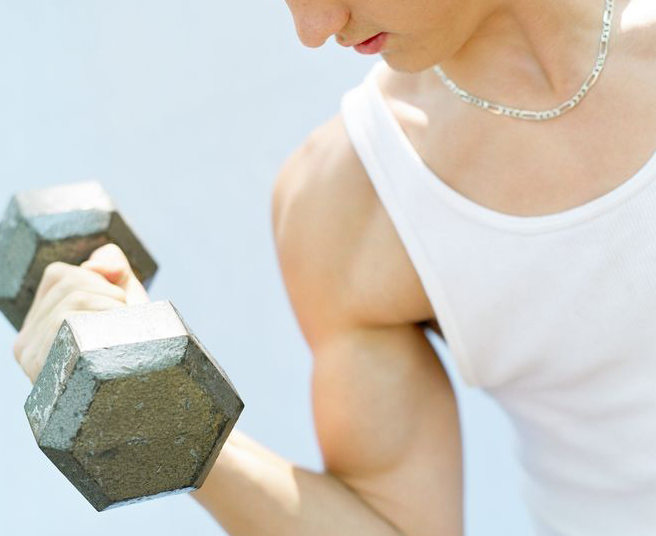 Consider the boys who are twelve and thirteen and already asking for ‘muscle building supplements.’ or ‘chin up bars.’ All you have to do is visit any MySpace profile pics for young boys and we see them flexing their muscles, which have yet to even finish developing! Our society is sexualizing, under contextualizing / and gender moulding our children into very narrow roles causing them to see a narrow purpose that is connecting attractiveness with general personal worth. These are dangerous times. Kids are worried that they don’t fit in. Worried that they don’t measure up. Some of them have acquired negative mental and physical manifestations of these anxieties and are killing themselves slowly or in a quick and deliberate way. What can we do at a grass roots level? I invite discussion. When does the milk spoil?